Another wrench was thrown into Caterham's plans to make the United States Grand Prix next week: Caterham's staff has been locked out of the team's headquarters in Leafield, England. That Caterham is in deep financial caca is no surprise. They've had certain assets seized by bailiffs, inexplicably told Kamui Kobayashi to come in during the middle of a race, and allegedly not paid Tony Fernandes off for the purchase of the team. Today is just the latest in a series of bizarre events related to Caterham having less money left than a college freshman after a ramen binge. Building owners Smith & Williamson have locked Caterham out of the building where the F1 cars are made just 48 hours before the cars are scheduled to ship to Austin, Texas. In a statement made to the BBC, Smith & Williamson representative Finbarr O'Connell claims that Caterham F1 operator 1MRT has made an "inadequate" offer to keep using the headquarters site. Employees from the embattled Caterham Sports Limited group which makes the cars were transferred under the control of 1MRT as of the company being placed into administration. Formerly, Caterham Sports Limited was run as a separate company. O'Connell states that 200 jobs are at risk from the financial mismanagement of the Caterham group and over £20 million is owed to external suppliers. We've just been given a letter saying we're not allowed in today - it seems to be a very confused situation. People are confused and disillusioned by it all. It's a shame that it's ended so abruptly. It's not looking good - I think it could be the end. 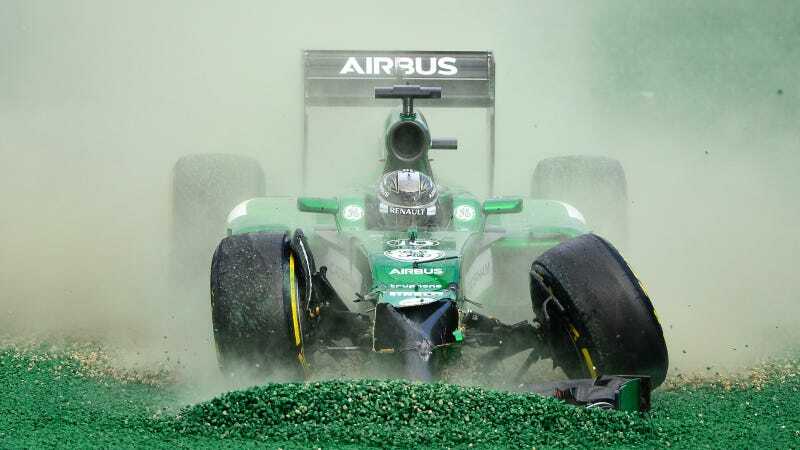 A statement from the Caterham F1 team said, "The administrators' appointment has had devastating effects on the F1 team's activities." Yeah, well, not paying your bills generally has adverse effects on the ability to run a team.